It was a good week for Karate. One of our 4 Year olds leading the warm up. 1). 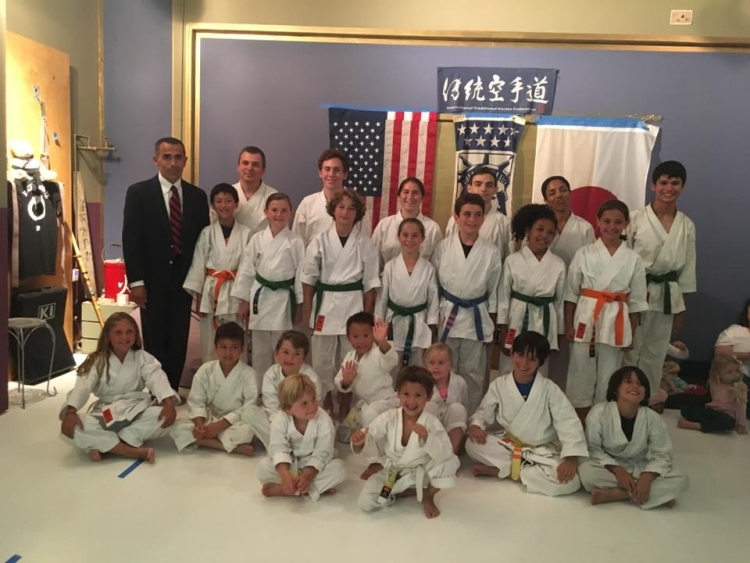 June 2nd - We had our best Kyu Exam (Belt Exam) ever! Our Dojo is vibrant and flourshing! The average level of our club is at it's highest. The Kyu exam is only for those that are ready. Most of our students don't exam (so you only see a about a third of our club). Those that tested looked great! You could see a distinct difference between the beginning level (White, Yellow & Orange), intermediate level (Green, Blue & Purple) and advanced level (Brown & Black). Our beginners looked as beginners do and have a very promissing future. Soon they will all look as good as our Green Belts. Our Green Belts all looked as Green Belts should and were almost all of the same exact ability (beautiful consistency), I call it "being professional". Our Brown Belts where quick, sharp and powerful. Thank you to the Black Belts for your attendence, to help and give support. The past 6 months students have responded well to our main focus's and sub focus's. Now we transition to the next step. Nishiyama sensei would be proud to see that the "Tradition Continues . . . ", that not only have we maintained . . . but continue to exceed the high standards expected of us. 2). June 1st - Kyu Exam at Machida Karate Acadamey. 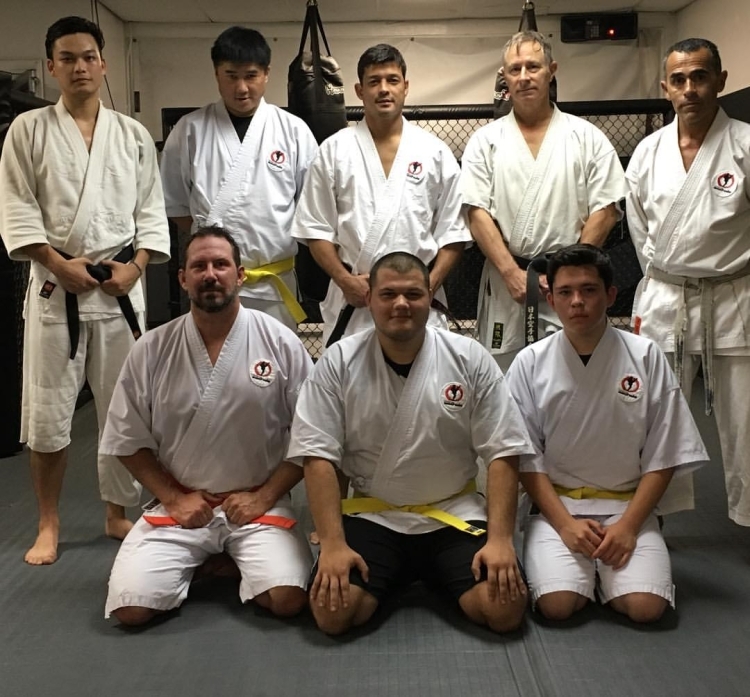 Classes at Machida Acadamy continue to be great! June 17th will be my 1 year anniversary there, with perfect attendence of about 150 classes. I must practice what I preach and make sure, as Nishiyama sensei would say I "don't miss" my training. My 1st class I almost vomitted half way through the class. My first month my QL muscles siezed up (due to the high roundhouse kicks). 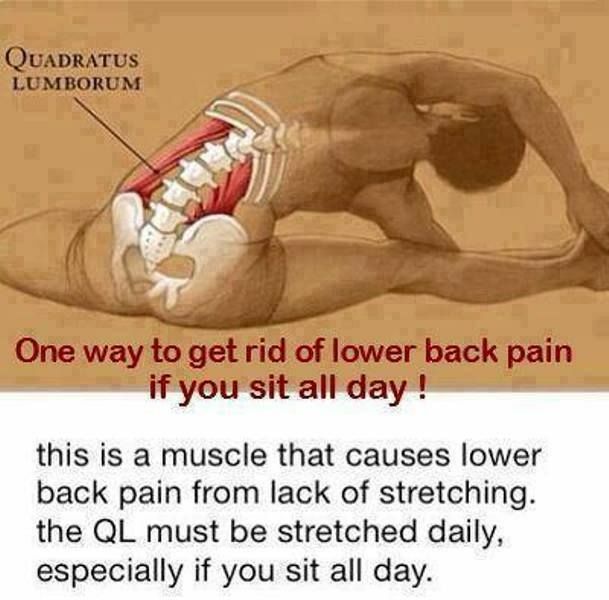 At the end of the month I was able to have the muscles release and my lower back is better than it was before. The first 3 months my legs turned to rubber at the 30 minute mark but after 3 months I got my legs back. After 3 months I lost 18 pounds from just the change in routine. The first 6 months my hamstrings screamed, cried and whimpered. Occasionially they are a slight annoyance. I'm now starting to refine the body mechanics of the new moves learned and beginning to increase speed and power. The Future is bright the Tradition Continues . . .